Swivel spout measures 10.75-Inch high and 9-Inch in length. Includes matching brass side spray. Dimensions: Overall Height: 10 3/4 Inch, Overall Width: 1 1/2 Inch, Spout Reach: 9 Inch. 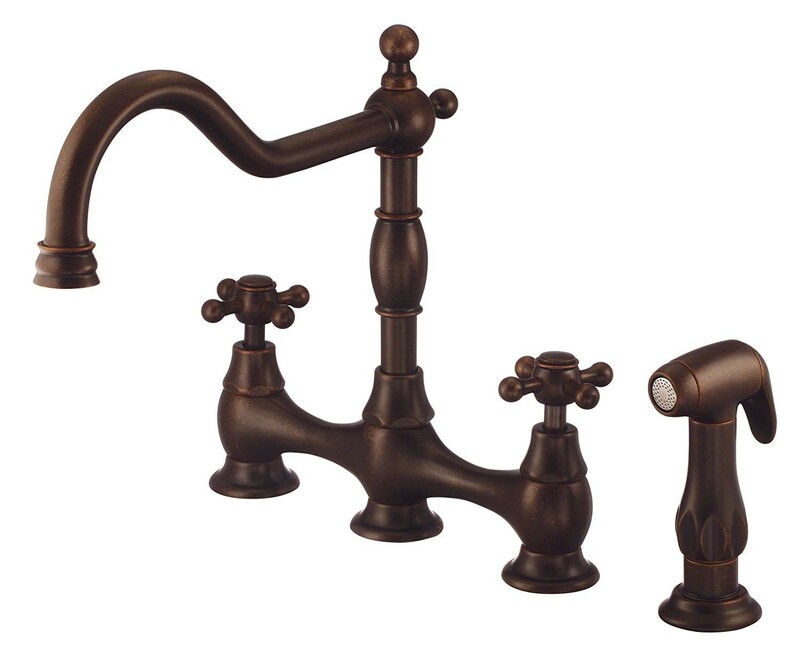 This product has a traditional style and a Tumbled Bronze finish. Its ceramic disc valve provides a tight seal for drip free performance and ensures durability over time. 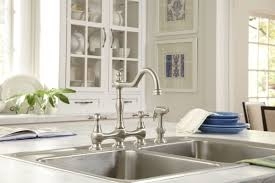 The swivel spout measures 10.75-Inch high and 9-Inch in length Includes matching brass side spray.